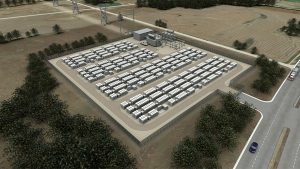 With Tesla Energy’s announcement about using lithium-ion battery packs for home (the Powerwall), business (Tesla Business Storage), and utilities (Tesla Utility Storage), many are wondering whether this makes sense for them. Should homeowners buy batteries for their homes? Should utilities? Businesses? It’s complicated, but worth exploring. Since Pure Watercraft is designing systems with large batteries, and the second life of such batteries (after they retire from a boat) is an important factor in their value, the emergence of this market directly affects our business. For the grid-connected individual homeowner in the United States, it would be very difficult for this to make sense, just for buying power at night and using it during the day, without more incentives than just time-of-day pricing. The benefit would have to come from being insulated from power outages, which for some people is quite valuable. But if you use Powerwalls to buy off-peak power and sell it back at peak times, then you may not have the power you need when the power goes out. So you’d have to plan your daily charge/discharge schedule to maintain some emergency power, which would limit your power savings. A reasonable plan for a PG&E power customer in California would require 5 PowerWalls. It would provide at least a half of a typical day’s power usage for backup power, and $4,075 in power savings over 10 years, and it would cost about $25,000 installed. If you value the backup power at about $10,000 (the cost of a decent backup generator, installed), then you get $14,075 in value (realized over 10 years) for about $25,000. And PG&E provides among the highest premiums for peak power. If you decided to use them exclusively for emergencies, then you’d still need 5, because otherwise, they couldn’t handle the power output you’d need. For a home with solar power, there is additional value, but only for backup purposes. Solar is generated during peak hours, so it’s best to sell it to the grid when you’re generating more than you’re using, instead of storing it for later, when you might be able to buy off-peak power. The only additional benefit for solar-equipped homeowners is that during a power outage, they may be able to generate enough solar power during the day to replenish the Powerwalls and survive off-grid indefinitely. 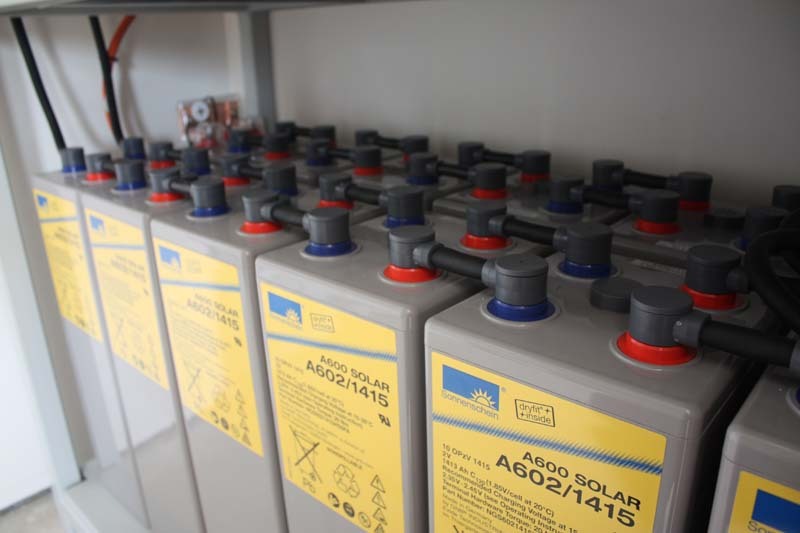 The best application is for the off-grid homeowner, who is already using banks of lead-acid batteries. This would be a longer-life, more reliable, lower-maintenance system than what he or she is using today. So, is there another way it can make sense? A comment by Elon Musk at the Tesla Energy press conference gives a hint: “All of the Powerwalls and Power Packs are connected to the Internet,” Musk said. “We’re able to work with utilities to shift power around.” So perhaps Tesla Energy can capture some fees from the utilities for providing on-demand peak shaving (which would hopefully be shared with Powerwall owners). And of course, utility or government incentives to homeowners could tip the scales (though current California incentives for energy storage are focused exclusively on business customers). Utilities think about power differently than homeowners do. They think about the cost of building a new power plant to handle peak demand. That’s why many of them provide time-of-day pricing. So when they look at energy storage, they’re comparing it to the alternative of building a new power plant that only gets used during peak hours. A typical natural gas power plant costs $1,000 per kW of capacity to build. 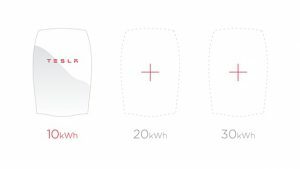 Tesla Utility Storage costs $250 per kWh, but each kWh can only deliver 200W of continuous power, so it costs about $1,250 per kW of power. And there are installation and other costs on top of the $250 per kWh, so I’d assume that the total cost to the utility would be $2,000 or greater per kW of capacity added in this way. So, natural gas plants are cheaper to build. An advantage of a battery solution is response time. 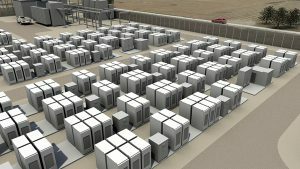 They would be a great way to respond quickly to a spike in demand, and to store momentary excess capacity, since even a natural gas turbine takes a few seconds to power up. And the pulse power offered by batteries is nearly double the continuous power. So a few lithium-ion batteries as a layer on top of slower-responding peaker plants might make sense. This can make sense for some businesses in areas with that offer significant incentives for energy storage, but without them, it won’t make financial sense, so the justification would have to be the principle of improving the environment for green power. Businesses currently dread “demand charges”, which are fees that they pay for the peak demand they impose on the grid during a 15-minute period. Demand charges can be 30% of a business’ power bill. A Tesla Energy Pack can reduce the demand charges, and also enable shifting demand into off-peak rates. PG&E customers can combine these benefits for about $4.50 per “summer” month and $1 per “winter” month per kWh installed (to the extent it reduces peak demand). So, spend $500 to install a kWh of capacity, and save $29.40/year in utility bills. Over 10 years, the PG&E business customer gets $294 in savings for $500 up front (assuming the cost to large businesses is about the same as to utilities). Some utilities may offer better incentives that could make this a good deal. For example, in California, the state offers (through the utilities) $1.46 per Watt for “advanced energy storage”. 1 kWh of storage that provides 200W continuous power would get $292, which is about 58% of the installation cost. Combine that with the energy savings, and the California business gets $586 in value for $500. Is this just a pricing mistake by the utilities? Should we as a society be storing more energy in batteries? Will it enable renewables? Solar power typically produces power when it is needed most, but it’s vulnerable to bad days or series of days. Even with good energy storage, a primarily solar energy based grid or micro-grid would require an alternative source of energy during long cloudy days. Wind power is inconsistent in most places, so energy storage may be a good fit for wind power. Battery based storage may be a good fit for a mix of renewables. Each of them can be bursty, but combined, they are less so, and if solar is a significant part of the mix, then the average production may fit the average demand, and energy storage could cover the discrepancies. If you’ve traveled to the developing world, then you’re familiar with the frequent power outages that plague many such countries. Sometimes it’s caused by a failing grid, sometimes by insufficient capacity at the power plant, sometimes inadequate data for management, but in some places, blackouts are a daily or weekly occurrence. A battery based on-site storage system would be a godsend for homeowners and small businesses in such locations, and they would level out demand for the utilities, possibly lowering the frequency of such outages. Lithium-ion batteries are improving in price/performance by about 7% per year. At this point, lithium ion battery energy storage will make good sense for the developing world, for select homeowners, and for utilities to layer on top of other peak-shaving approaches. As renewable energy sources increase deployment and battery capabilities improve, the applications in which it makes sense will grow larger and larger. A reasonable plan for a homeowner attempting to realize value from both peak/off-peak power differences, and emergency backup power, would be to cycle the batteries every day from 50% up to 80% at night and back down to 50% during the day. That way, there would always be half the battery available for emergency power, and the batteries would never be at a cycle-life limiting state of charge of 90% or greater. The annual value from peak/off-peak arbitrage is 30% of 10 kWh * 0.92 (the round-trip efficiency of the Powerwall) * 0.90 (the assumed round-trip efficiency of the inverter) * $0.18 (PG&E’s difference between peak and off-peak residential summer rates) * 365 (days per year) * 0.50 (because only half the year has such incentives) = $81.50. Typical backup power generators provide about 10 kW continuous power. 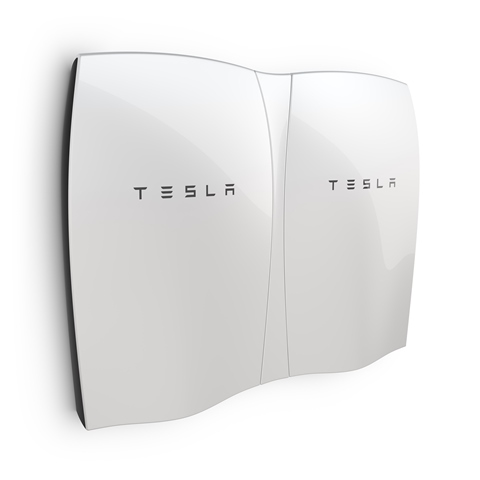 A Powerwall provides 2 kW continuous power, so you’d need 5 of them to provide the same power. A typical homeowner uses about 50 kWh in a day, so if a power outage happened when the battery was at half capacity, you’d still have about a half day’s usage in the battery. Since the lowest battery level would occur at the end of the day, and power usage is low at night, the homeowner would probably have until the middle of the following day before running out of battery power. A power outage at the beginning of the day would give the homeowner until a day later. So a homeowner who chooses the 5 Powerwalls illustrated above would realize $81.50 per Powerwall x 5 Powerwalls x 10 years = $4,075. Note that trying to survive on backup power from a single Powerwall would be a challenge. With 2 kW, you’d be able to power a toaster and microwave operating at the same time, but just barely (and not with many lights on). It would not be enough to operate a clothes dryer. If you wanted to use the Powerwalls solely to arbitrage peak vs. off-peak power rates, you’d probably charge to 80% state of charge and discharge to 20% every day, which would give you 2190 battery cycles in 10 years. (Using 80% of the battery or more, for example from 90% state of charge down to 10%, would drive 2920 cycles, which is more than the pack could deliver at that depth of discharge.) The value of that arbitrage would be $0.18 (peak rate – off-peak rate) * 2190 cycles * 10 kWh per cycle * 0.92 (Powerwall round trip efficiency) * 0.9 (inverter round trip efficiency) * 0.5 (half year incentives) = $1,632. You’d be paying $3,500 plus inverter cost plus installation up front – maybe $5,000 total, to get $1,632 in savings over 10 years, per Powerwall. That would be very difficult to justify without more incentives. PG&E charges about $15 per kW in demand charges during the 6 months of “summer”, and about $5 per kW in demand charges during the 6 months of “winter”. (It’s a little more complicated than that, but that’s the simple version.) Each kWh of capacity delivers 200W of continuous power (190W after subtracting 5% inverter inefficiency), so you get $2.85 in demand charge savings for every kWh installed. The winter savings is ⅓ that, or $0.95 per kWh installed. PG&E power rates are about $0.162 peak and $0.074 off-peak in summer, and $0.102 peak vs. $0.078 off-peak in winter. Using 92% round-trip efficiency of the battery pack, and 90% round-trip efficiency of the inverter, the winter rate difference isn’t worth much. The summer rate difference can be worth something. If you buy an off-peak kWh for $0.162, you sell it back as 0.828 kWh * $0.074/kWh = $0.061 per kWh. So taking 60% of the battery’s capacity daily, you get a summer value of $2.85 in demand charge reduction plus $1.10 in rate savings (total $3.95) per kWh, and a winter value of $0.95 in demand charge reduction. Excellent article. I will need to re-read it a few times and transpose the CA numbers into WA numbers, which will undoubtedly be very sobering. A customer and I were discussing this exact topic for his new home. I’m fortunate to have met Andy and sold him a PV system. Hopefully we can reconnect when my other customer has his new home built and is ready to fully explore lithium ion batteries for his backup power security. Unlikely, but maybe one of his 2 Teslas will be ready for a new battery pack by then. What about the use of those unit for an off the grid home that needs 7350 W a day given that I have enough solar panel for that usage? Actually, my system is based on 24V DC battery bank to an 3 KW inverter. Is the Powerwall have a selectable output to 24V? Pierre, one Powerwall is probably a great fit for you. If you use 7350 Wh per day then you’ll have just the right amount of battery for what you need, and you can use the same inverter for both.